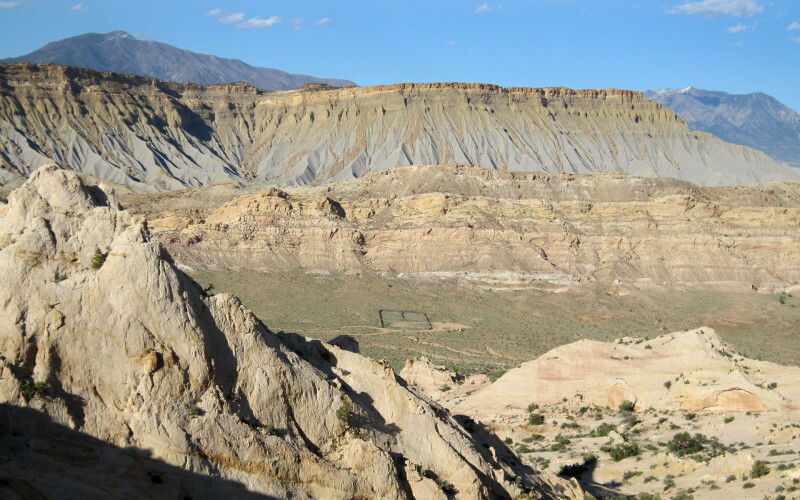 Hayduke: Post Cutoff Diversion – Across Utah! Previously I wrote about using the Post Cutoff as an alternate for Hayduke hikers, but, it’s also possible (and worthy) to simply do part of it as a short diversion. 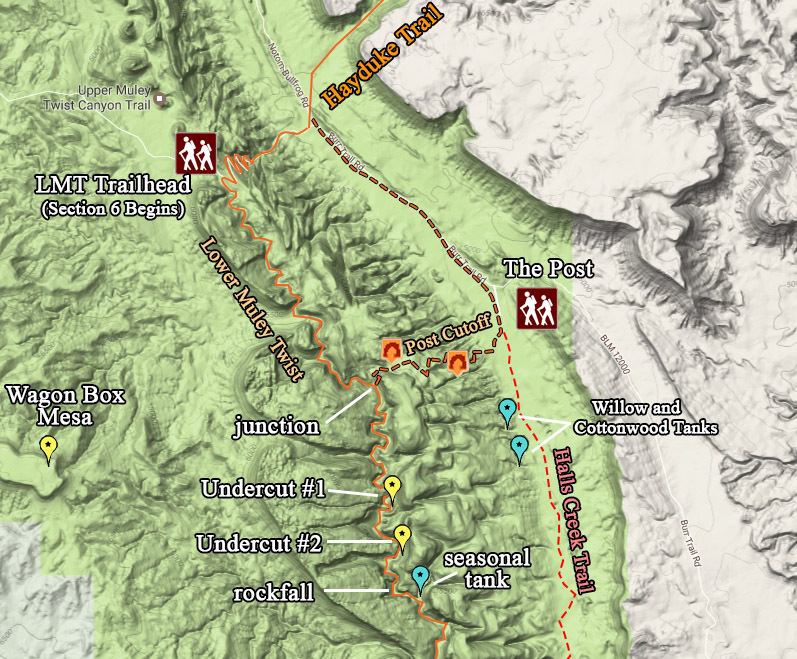 Drop your gear at the junction in Lower Muley Twist and scamper up to see the small arch and then on to take in the great view of the Waterpocket Fold and the dramatic landscape to the east dominated by the Henry Mountains and the lower mesas. 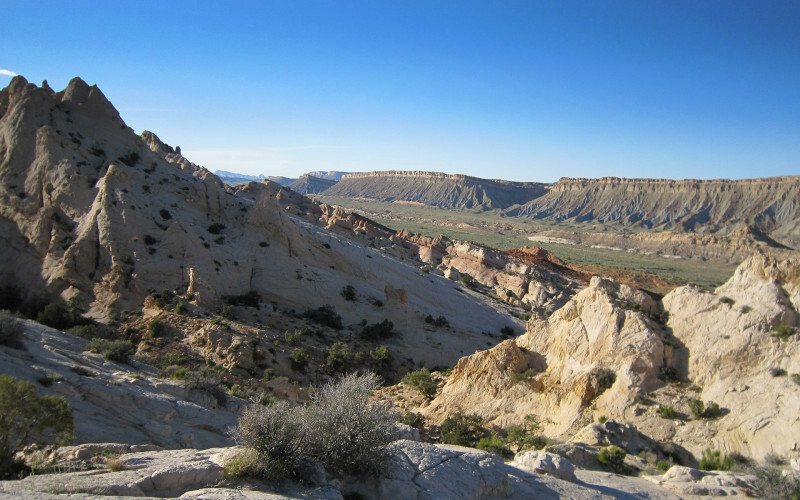 Within less than 30 minutes you should be back to your gear and ready to continue on down canyon taking in the great sights of Lower Muley Twist.